Talybont Energy invites you to its SWAP day – come along with good quality items you’d be happy to swap (for free) and find something useful and fun to take away instead. 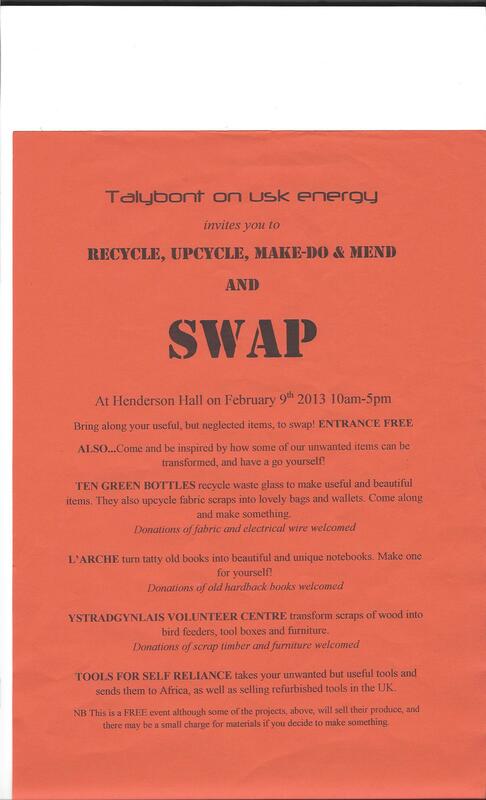 Also be inspired by ways that organisations can transform our unwanted items and have a go yourself. This entry was posted in Uncategorized and tagged Freecycle, fun, recycle, Talybont, upcycle. Bookmark the permalink.